The fifth book in the series that began with the Newbery Medal–winning Sarah, Plain and Tall by Patricia MacLachlan. Jack leans back on Grandfather's shoulder. Aunt Mattie's knitting needles click in the dark. The moon rises. The candle flickers in the gentle prairie wind. I close my eyes to keep everything there. Could anything be more perfect than a prairie wedding? Cassie Witting doesn't think so, for her sister Anna's wedding brings two lovebirds together, aunts from faraway Maine, a long white dress with a wedding veil, dancing under a clear blue sky, and a world that smells of roses. 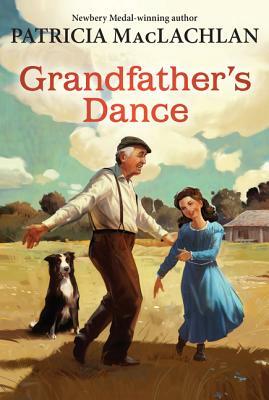 As the Witting family comes together for this most special day, Cassie sees that life brings the change of seasons, brother Jack on Grandfather's lap, joy, sorrow, and a special dance only Grandfather does.